If you're sick and tired of being tired, then this is one of the most exciting messages you'll read. 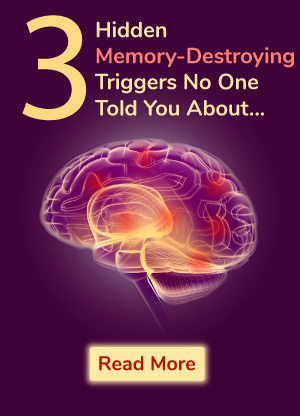 … or even if you've been taking energy boosters like CoQ10 and L-carnitine, but without much improvement. So what is this special sugar? It's called ribose. Ribose is special because it has only five carbons in its chemical structure, as opposed to six carbons in common sugars, like glucose, sucrose, and fructose. These 6-carbon sugars raise blood sugar levels, and cause your body to produce insulin. Unlike 6-carbon sugars, the 5-carbon sugar ribose does not raise blood sugar levels or cause your body to produce insulin. Instead, it helps you burn off more sugar, and limit fatigue at the root cause. Why does ribose have such amazing effects? Well, it has to do with how the body produces energy, and how the lack of energy production is the root cause of fatigue. As you may know, your cells contain tiny "power plants" called mitochondria. These power plants produce an energy molecule called ATP. ATP is the source of all energy in your body. The more ATP your cells produce, the more energy you have. Conversely, when your ATP levels are low, you feel fatigued and sluggish, as you don't have enough energy. To restore your energy and recover from fatigue, your cells have to produce more ATP. But the irony is that your cells need ATP to make ATP. The less ATP you have, the less ATP your cells can make. It's a vicious cycle. 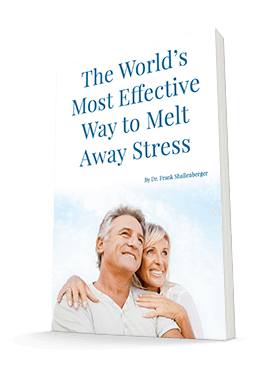 As a result, your ATP levels never recover to optimal levels, even with plenty of rest. And that's why you're tired all the time! Fortunately, ribose can help recover ATP to optimal levels. How? Well, ribose makes it much easier for your cells to produce ATP. That's because ribose is an actual building block of ATP. In fact, if you look at the chemical structure of ATP, you'll see that it's a ribose molecule joined to two other molecules (see diagram). Ribose is usually made from glucose in your cells. But your cells don't convert the ribose immediately to ATP. Instead, your cells do so only when your body needs energy. And the unused ribose is stored in your cells as reserve. To understand how this works, think of the money in your savings account. The bigger your savings, the more money you can draw out to use. In a similar way, the more ribose stored in your cells, the more ATP and energy your cells can produce. And that's how you can limit fatigue at the root cause. All you have to do is build a large pool of ribose in your cells, so that they get a continuous supply of ribose to make ATP. Is ribose really that effective at limiting fatigue? Well, according to research studies, the answer is YES! For example, in one animal study, scientists took lab rats and clamped their blood vessels, in order to slow down blood flow and deprive the rats' hearts of oxygen. This in turn caused their ATP levels to plunge. The scientists then split the rats into two groups: one received ribose, and one didn't. In a Lancet study of 20 men, researchers found that those taking ribose could exercise much harder before being fatigued. Since then, Dr. Teitelbaum has recommended ribose for all of his patients who suffer from fatigue. And he has seen remarkable results on his patients. But… being a very skeptical person, she didn't believe that a "sugar" could have such a dramatic effect on her condition. So she stopped taking ribose. Within two weeks, her debilitating fatigue returned. And again, she was forced to leave her practice. But when she resumed her ribose supplementation, her fatigue was gone in days. You see, your heart pumps a large volume of blood every second. This uses up a lot of energy. This energy comes from the ATP your heart cells produce. The problem is, when your heart is weakened, maybe due to aging or after a surgery, the heart cells are no longer able to produce enough ATP and energy. Without enough energy, the heart muscles become fatigued, and starve for even more energy. That's why people with weakened hearts are so tired all the time. Indeed, it's not uncommon for my heart patients to complain that they can't even walk to their mailbox without being so out of breath that they have to sit down. In a German study, researchers took a group of heart patients and hooked them up to an echocardiograph to test their heart functions. After that, they gave the patients ribose or a placebo for 3 weeks. After 3 weeks, they re-tested the heart functions of the patients. What did they find? 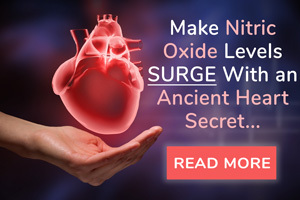 The patients taking ribose showed increased energy in their hearts. Their hearts filled and pumped more normally compared to the hearts of the control group. 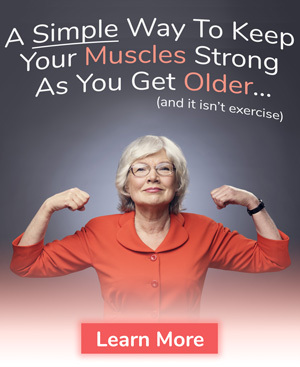 Not only that, the ribose group also reported to enjoy a better quality of life. But the researchers didn't stop there. They had the patients run on treadmills to see how well they performed. Compared to the control group, the ribose group could run for a much longer time before showing signs of fatigue.5 Amazing! In another study, researchers took a group of heart patients and tested them on stationary bicycles. Result: The patients taking ribose performed much better than the control group. What's more, the ribose group also showed to have stronger hearts, as measured by the amount of blood they pumped! In still another study, researchers gave ribose to patients who had heart injury. 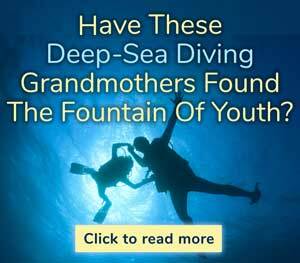 What they found was amazing. The patients showed improved blood flow, improved oxygen-uptake, and greater exercise capacity. And in yet another study, researchers gave ribose to a group of 143 patients who had previous bypass surgery. The patients showed much greater hearts' pumping ability compared to the patients who had bypass surgery, but without taking ribose. By now, I think you're starting to see how ribose can really help you maintain a healthy heart, improve your stamina, and limit fatigue. By the way, there are no adverse side effects from taking ribose. Imagine no more waking up tired or spending the day walking around like a zombie. Imagine being able to resume all the activities you love, and being able to play with your grandchildren. That's what life promises for you with ribose. But here's the kicker: you cannot find ribose in any food. So the only way to boost your ribose levels is by taking a ribose supplement. That's why my friends at Advanced Bionutritionals have agreed to start offering a ribose supplement. It's called Corvalen®. If you want to limit fatigue… or if you simply want to have more energy every day, Corvalen is for you. It is also the only ribose supplement that I recommend for my patients and subscribers like you. Why? First, Corvalen is actually 100% ribose. That means every time you take Corvalen, you give your cells a whopping dose of ribose to produce energy and limit fatigue. Second, Corvalen is made through a patented fermentation process. This process ensures the ribose produced is of high quality. In addition, the manufacturing process conforms with or exceeds standards set by the U.S. government. For you, that means the best quality possible. Third, Corvalen is made into powder form using a patented granulation procedure. This procedure makes the Corvalen powder more resistant to moisture, so that you can store it on the shelf for a longer time. Plus, the procedure also makes the powder easier to mix with water for consumption. Because of this intricate manufacturing process, Corvalen costs a little more than other supplements you may be taking. But here's good news. The folks at Advanced Bionutritionals have agreed to offer a sizable discount — and free shipping — for anyone ordering a 3-month or 6-month supply. In fact, if you order a 6-month supply, you'll be getting all the energy-boosting power of ribose for just $1.38 a day. That's far less than a cup of coffee at Starbucks. If you're currently relying on caffeine to keep you going, you can easily spend several dollars a day on coffee. Yet, with ribose, you won't be getting an artificial caffeine lift that goes away after a few hours. 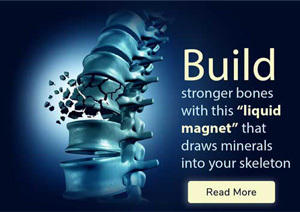 You will be getting real lasting energy, right from your body's own cells. And the more energy your cells produce, the healthier your whole body will be … from your heart to your brain to your muscles and bones. As with every Advanced Bionutritionals' product, you're completely protected by our risk-free guarantee. If you're unsatisfied with Corvalen for any reason whatsoever, simply return the empty bottle within 90 days of your purchase for a full refund of every penny you paid, including shipping and handling. No questions asked. You only pay return shipping. Please follow this link to order, or call 800-791-3395, 24 hours a day, 7 days a week. Call 800-791-3395, 24 hours a day, 7 days a week. Once we receive your order, we'll rush it to you. P.S. 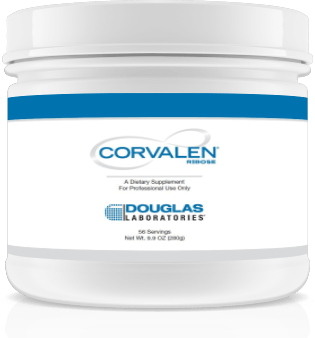 Corvalen has been clinically proven to boost energy and help patients limit debilitating fatigue. 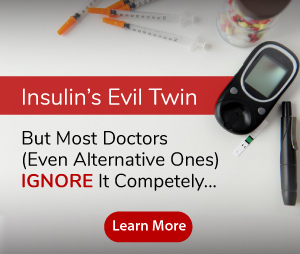 That's why more and more forward-minded doctors are recommending it for their patients. 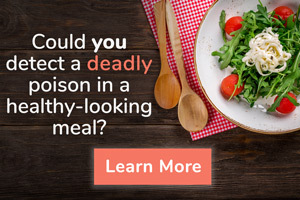 And if you're feeling tired all the time… or if you simply want to get more energy for your active and busy life, then you, too, should give Corvalen a try. You'll be glad that you did. And remember, if you're not absolutely thrilled with the results, you can return the empty bottle(s) within 90 days of your purchase for a full refund of every penny you paid.